Metatarsalgia is a term used to describe a painful condition arising under the metatarsal bones in the front part of the foot. 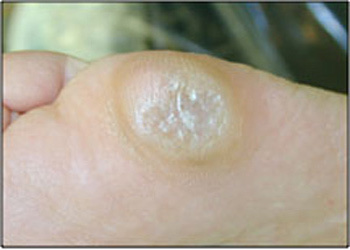 This is often associated with painful callosities under the metatarsal heads, which are often aggravated by wearing of high heeled and thin soled shoes. There are many causes of metatarsalgia, including thinning of the fatty cushion under the metatarsal, hammer toe deformity, and abnormality of the shape of the metatarsal bones. Treatment consists of cushioning the foot with a metatarsal pad, custom orthotic arch support, or a well padded low heel shoe. Although surgery is occasionally performed to correct metatarsalgia, this is not often required. Many different operations can be performed which involve cutting the metatarsal bone to relieve the pressure from the front of the foot.